(APN) ATLANTA — The Metro Atlanta Task Force for the Homeless, the largest homeless shelter in the U.S. Southeast, and an overflow shelter serving thousands of homeless men each year, is set to close, if a settlement offer is accepted by Fulton County Superior Court, Atlanta Progressive News has learned. The settlement involves a payment of 9.7 million dollars to the Task Force and the Task Force turning over the Peachtree Street property by abandoning its legal claims of quiet title, according to several sources. The property would no longer be used as a shelter, and would likely be used or sold for development. It is APN’s understanding that the settlement has already been signed by the parties. APN previously reported that a settlement was close late last year; however, the parties were not able to reach an agreement at that time and, in particular, because one of the defendants was holding it up. The case was supposed to head to trial, but the settlement talks have continued since that time. 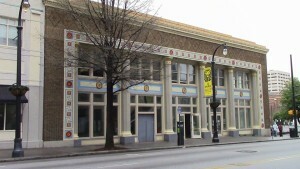 As previously reported by APN, several persons and entities including Central Atlanta Progress, Atlanta Downtown Improvement District, Manny Fialkow, the City of Atlanta, Emory University, and others conspired to sabotage the shelter over a period of several years. The City was dismissed as a party because of sovereign immunity. The Task Force has been in court, with legal assistance from the Baker Donelson law firm, for several years, and the Supreme Court of Georgia ruled that the Task Force had valid legal arguments and sufficient evidence to take to a jury trial. The Task Force–which once received and disbursed federal funds to the Atlanta continuum of care–is now a shadow of its former self. Anita Beaty, who founded and headed the organization, and kept it running with no staff and for no salary for years, retired as Executive Director at the beginning of January 2017. Most of the Task Force’s Board Members, including Joe Beasley, Jim Beaty, and former Councilwoman Myrtle Davis, have resigned. The remaining Board includes Executive Director Carl Hartrampf, Prof. Chuck Steffen, and Jerry Farber. 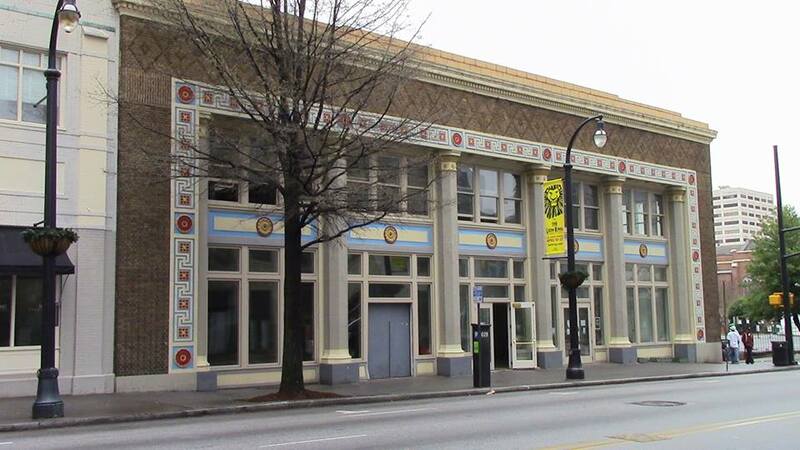 Due to Atlanta’s current zoning restrictions, the Task Force has argued for years there is nowhere else it could operate a shelter within the City of Atlanta. After paying the attorneys, the Task Force would have little left over from the settlement to operate a shelter or even a drop-in community center, even if it could find a location to operate in Atlanta or elsewhere. The City of Atlanta has identified no plan to house the current residents of the Task Force and does not appear to have caused new resources to materialize that would provide new shelter beds to replace the ones that would be lost. Fulton County voted 5 in favor 2 against to force 2 shelters out of business: Jefferson Mens Sheletr for recovering addicts near the Atlanta Community Food Bank and THe womens with children shelter. Both had good records and people were treated and then left within a few months. This was funded by Fulton county property and home owner taxes. There was a hearing in the Fulton county commission afew blocks from fivepoints. These victims have worked for various systems and have paid a whole gran enchilada of taxes. The Atlanta city council has voted 12 in favor 1 against to use eminent domain against the peachtree pine multi story building and make it into a police or fire station. Unsure why you are blaming Mexicans…this shelter houses many black and white people. You offer no real help other than to show your racism and ignorance. I also have no respect of people who post opinions without posting their names or actual names. If you can’t stand up to your beliefs and positions keep your mouth shut. In light of recent media reports concerning the settlement of the litigation surrounding the Peachtree-Pine homeless resource center, the Board of Directors of the Metro Atlanta Task Force for the Homeless wishes to issue a clarification and correction. It also wishes to use this occasion to reaffirm its commitment to the core principles of its thirty-six-year mission. The current board members are Joe Beasley, Jerry Farber, and Chuck Steffen. Carl Hartrampf, former Housing Commissioner of the City of Atlanta, serves as executive director. Many committed and hard-working individuals have served on our Board over the years, and we wish to extend our appreciation and thanks to all of them, especially to former Atlanta City Councilperson Myrtle Davis. No one has done more to promote and defend the Task Force, and to keep the issue of homelessness before the citizens of Atlanta, than our former executive director Anita Beaty and her husband Dr. Jim Beaty. The Board owes this indomitable couple a debt it can never repay. The settlement to which the Task Force has agreed will provide substantial financial resources to continue our two-fold mission of providing direct homeless services and advocating for policies and programs that attack the underlying causes of homelessness. These are the lack of affordable housing, the shortage of living-wage jobs, and the history of racism that blocks access to both housing and jobs. The Board of Directors will continue its efforts to end homelessness as part of the larger struggle for a just and inclusive Atlanta. I encourage Anita Beatty and her husband, Dr. Joe Beatty, to comment on Chuck Steffen’s posting. Also, I wonder why did these two individuals leave the Task Force? This is incredibly sad. The City of Atlanta performed every dirty trick to try and force this building to close. The residents who mostly ran this building deserve incredibly kudos for their incredible work (with the essential guidance of Anita Beatty). The City of Atlanta should have learned from and held up Peachtree Pine as a model of efficient service delivery, but no, instead they hurled hugely inflated water bills at it to try and force it to close (and many other immoral acts). If there was a place where Jesus would have lived in America in the 21st century I would have imagined him at Peachtree Pine, a place where discipleship was modeled on a superhuman level. Now, instead of embodying the most efficient housing model in Atlanta, they will be homeless, and their former home used for some inefficient, middling project. In Atlanta, the moral arc of the universe does NOT bend towards justice.